Strong, cool and comfortable coveralls manufactured in white non-woven fabric with elasticated cuffs and ankles. Comes complete with a hood attachment. 2 sizes available - large and extra large. 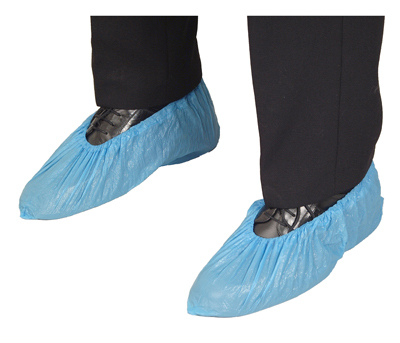 Extremely light and durable and manufactured from CPE with elasticed tops for an easy fit. 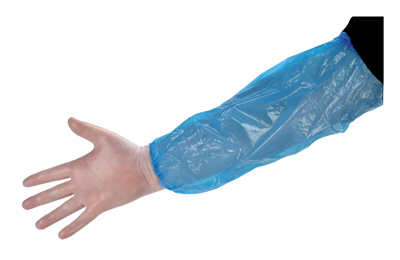 Polythene oversleeves elasticated at both ends to prevent slippage. Fluid resistant and blue in colour. Provides protection against non-toxic and low-to-average toxicity solid and liquid aerosols in concentrations up to 12 x MAC/OEL/TLV or 10 x APF. 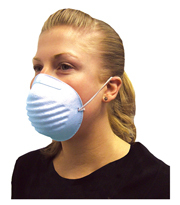 A lightweight, general purpose facemask manufactured in soft 2 ply paper and supplied in a convenient dispenser box. 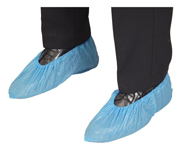 Features elasticated earloops for easy and secure fitting. Sold in boxes of 100 masks. 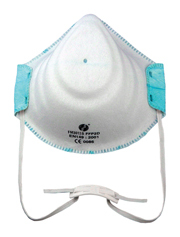 A cone shaped moulded facemask with noseband. 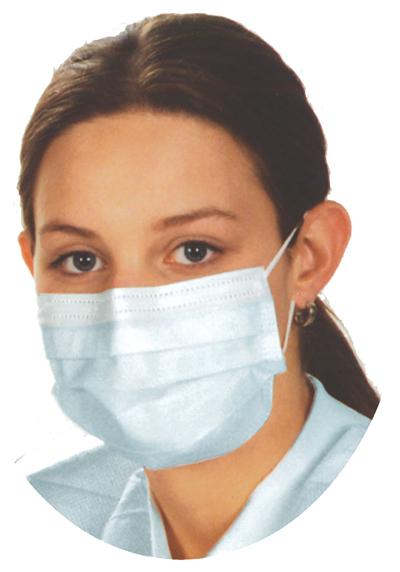 Manufactured in 100% polyester and provides good filtration efficiency against non-toxic dust, particles and pollen. 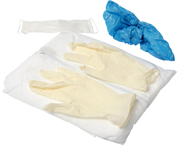 Manufactured in soft, heavy guage, non woven material with elasticated cuffs. Ties at the neck and waist with an overlap at the back. Excellent resistance to light splashes and splashes. Blue in colour and sold individually. 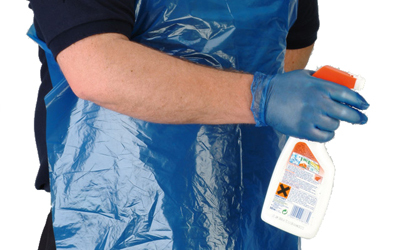 Offers protection for your clothing and can be easily dispensed. Sold per roll of 50. Offers protection for your clothing and can be easily dispensed from pack. Sold per pack. 100 per pack. 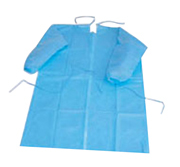 Polythene aprons perforated on a roll for ease of use. Blue in colour and sold in rolls of 200. 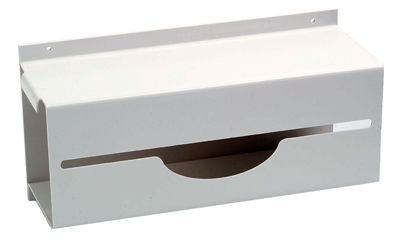 Dispenser for roll type aprons.